What are the top 2019 spring or summer outdoor party rental attractions? It can be stressful to plan an outdoor event or party in 2019 because you not only want your guests to have an amazing time but you also want them to share every minute of your party with their friends online through social media. These 2019 outdoor attractions are our top picks. 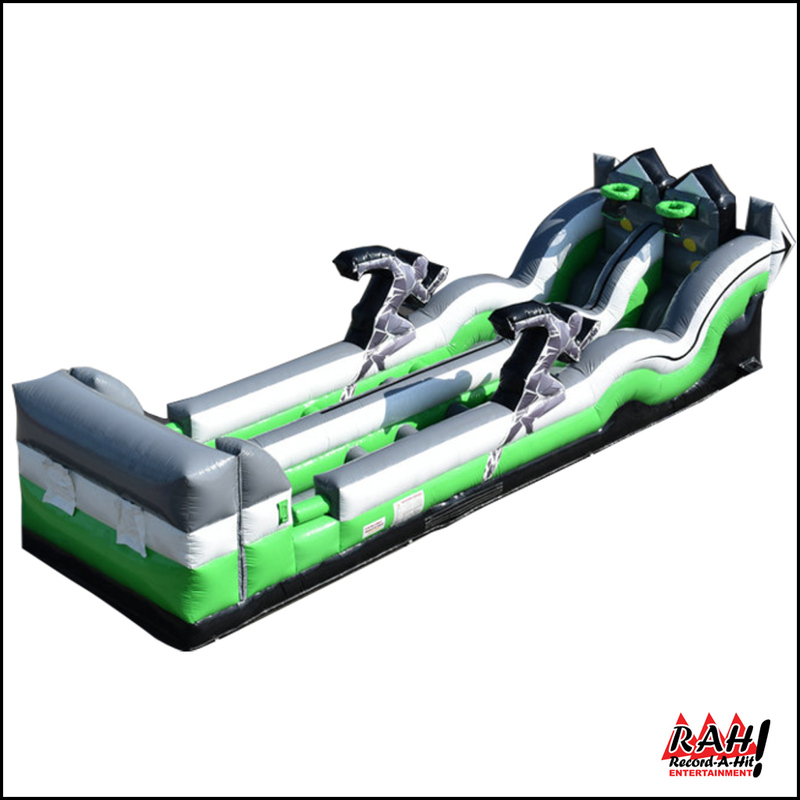 The 3-N-1 Bungee Challenge Inflatable Obstacle Race has three different game challenges (The Baton Challenge, Basketball Dunk Challenge, and Human Bungee Darts Challenge) for your guests. The guests with the highest score and fastest speed will be crowned the winner. 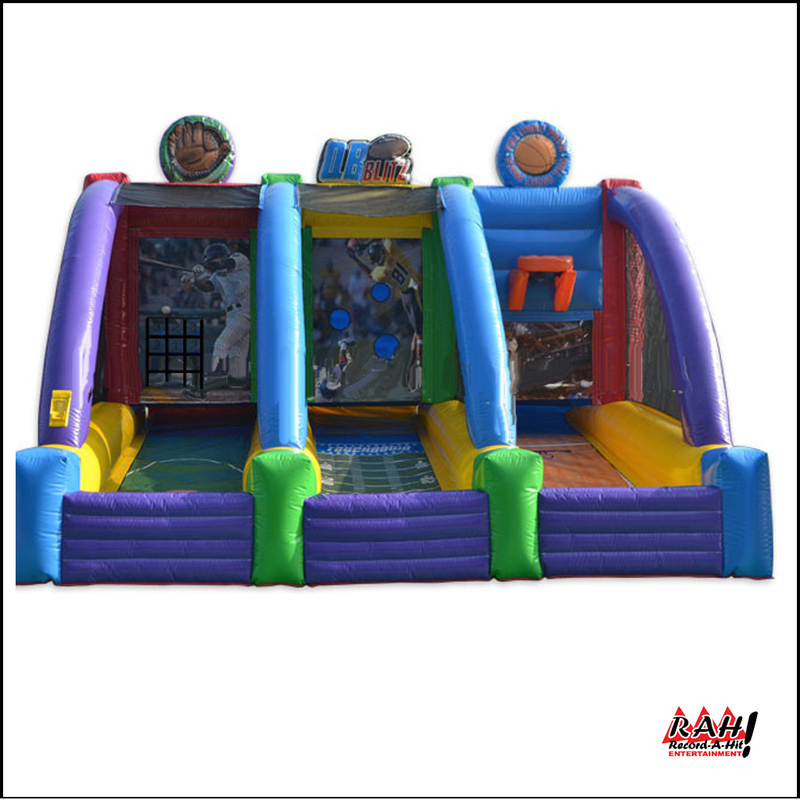 Your guests can challenge each other with one of these three energizing and exciting sports games (the Basketball Inflatable Game, Football Inflatable Game, and Baseball Inflatable Game) from 3-Play Sports Inflated Carnival Game is perfect for backyard birthday parties. 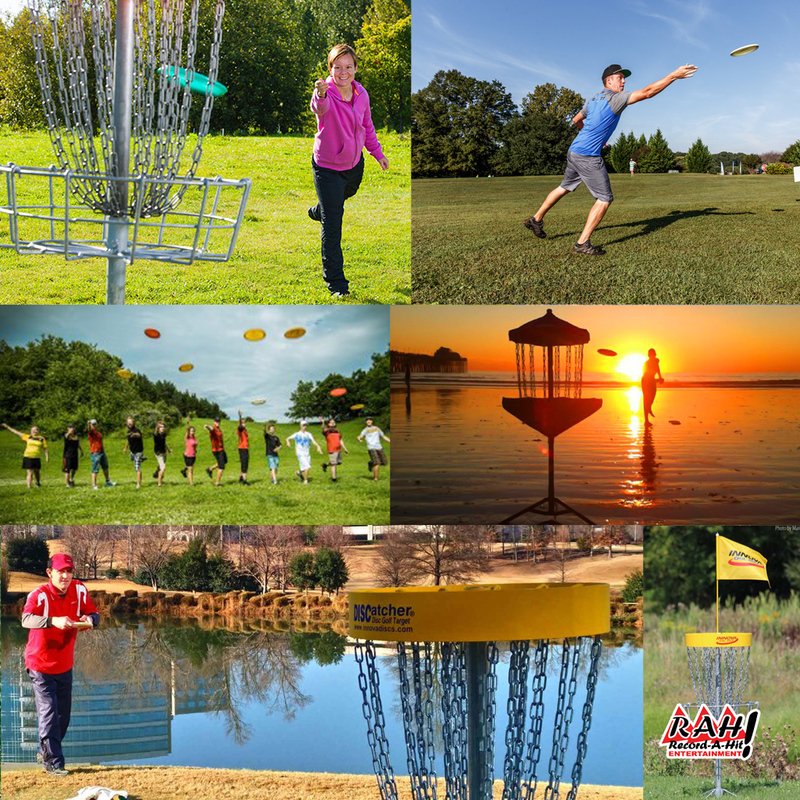 Disc golf is a fun game for everyone and we can set up a 3, 6 or 9 holes disc golf game (which also includes a wide variety of disc sizes and weights) for your guests to enjoy. There’s also a glow-in-the-dark version as well for those night games. Your guests will love rocketing sky-high in the air like they’ve never done before and up to four people at once can use our Eurobungy 4-in-1 trampoline and have the time of their lives. 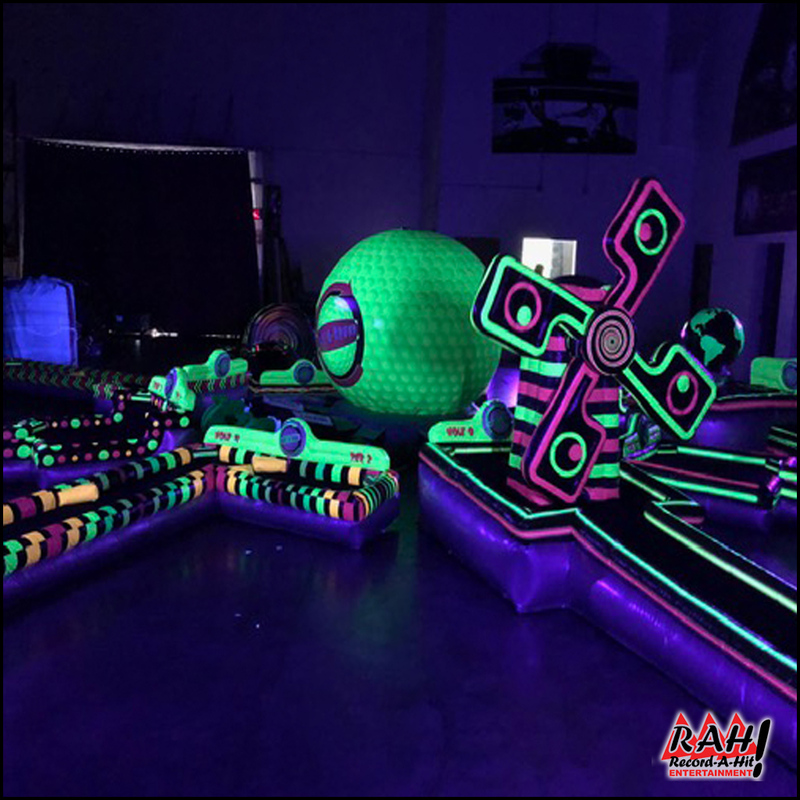 Your guests will have a blast hanging out on our 9-Hole Glow-in-the-Dark mini golf course that features a central hub that supporting our Loop-de-Loop™, Spiral, and motorized windmill holes. It comes in either 3, 6 or 9-hole versions. 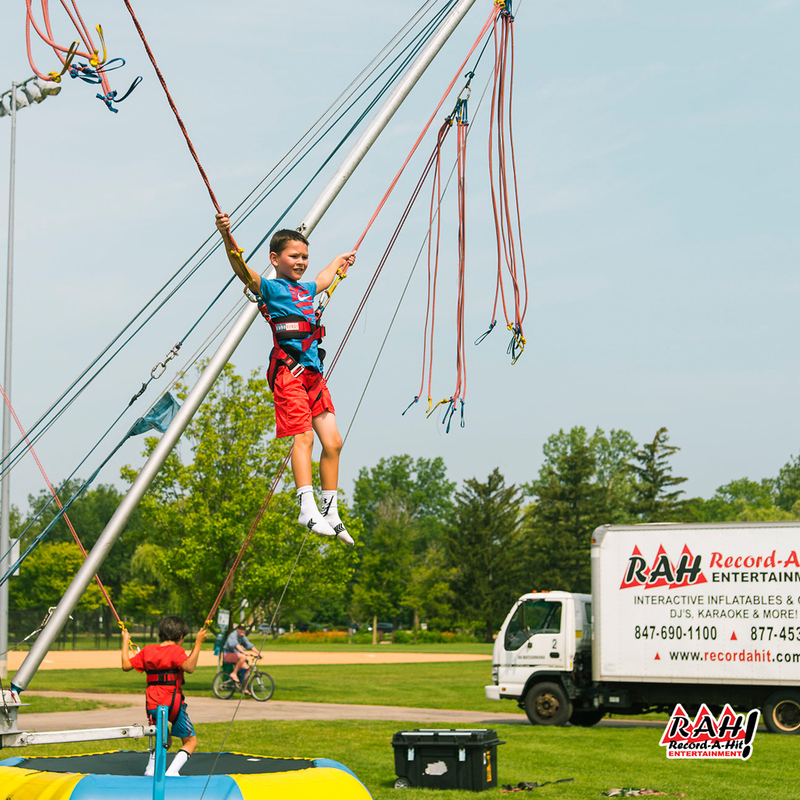 If you are looking for more great 2019 spring and summer outdoor event or party attraction ideas for adults and children, just give me (Rob) a call at 847-690-1100 or email me at rbroms@recordahit.com. I’m happy to help you with your party or event planning.